The Bitcoin gaming industry is moving forward at full speed these days, with more and more operators opening up their doors and attracting new clientel to the thrilling world. The traffic and revenues increases year-by-year and all the larger sites has experienced an increase in revenues. One of the current obstacles in the Bitcoin gaming industry however, is that most sites that are currently online are very specialized in one specific type of gambling, rather than diversifying. Initially we saw this with the Bitcoin dice sites that only offered dice games, then Bitcoin poker sites just offering one or two types of poker and so on. In order to be able to move more traffic away from the fiat-currency gaming industry, operators in the Bitcoin gaming industry needs to be able to diversify and integrate products that players wants to play, to get them to continue playing in their site at all times. It is very common for the major sportsbetting sites to both offer poker, casino, live casino, bingo, sports betting and even financial trading similar to binary options. Finding sites in the Bitcoin industry that offers more than one or two of these products is rare and those that are there currently may not have the experience needed to really take it to the next level. This is about to change however, as one of the leading Bitcoin gaming platform providers Coingaming will be launching their Bitcoin-only sportsbetting platform on August 8th, right when the Premier League starts. This means that Coingaming can now offer at least the full standard suite of products for their operators, which includes poker, casino and live casino as well as sportsbetting. Integrating these products will make it easier to attract new clients and convert fiat-money players to Bitcoins if the advertising is done correctly. The betting platform has been designed by Coingaming to maximize the revenues and profit streams for the operators integrating it. It has also been created with Bitcoin in mind, ensuring that it seems natural for Bitcoin users to use. The sports betting market is currently seeing a lot of investments from Bitcoin operators, as it is one of the biggest revenue streams in the iGaming industry. There are million of bettors betting on a daily basis and many are not happy with the restrictions that traditional bookies put on them, which would make the Bitcoin sportsbetting product very attractive to them. Coingaming did not announce if any of their current partners will be integrating the sportsbetting platform. The Bitcoin is becoming increasingly popular all over the world, with an estimated 7 million either trading or using Bitcoins on a regular basis. A lot of the mainstream adaption comes from services and businesses accepting Bitcoins, but we still haven’t seen a small percentage of the world’s businesses integrate it yet. With more companies integrating the Bitcoin as a payment method, people will have a cheaper alternative towards paying, as well as more secure. For the companies it is also beneficial, as they will save a fortune in transaction costs and the security in Bitcoins are a lot higher than in regular payment methods such as credit cards and bank wires. Now we will see yet another boom of businesses accepting Bitcoins online and land-based as Snapcard (now Sendwyre) and Alpha Payments Cloud has signed a partnership agreement to power AlphaHub customers with Bitcoin acceptance. Snapcard is one of the leading Bitcoin payment processing as well as Bitcoin wallet companies out there. Alpha Payments Cloud is a major payment processing company, with customers all across the globe. The existing AlphaHub customers, as well as new, will be able to accept Bitcoins through a single, simple API integration on their websites. It litterally only takes a few clicks and their shop or service will be ready to accept Bitcoins. “The AlphaHub API connects banks and merchants to more than 100 white-label solutions like gateways, alternative payments, ID verification, chargeback management– we’re excited to work with Snapcard to help our clients capture the added-value of accepting global alternative payments like Bitcoin,” commented Rónán Gallagher, Chief Product Officer at Alpha Payments Cloud. Alpha Payments Cloud will furthermore refer interested customers to Snapcard, who will help educate the staff in Bitcoins, acceptance of them and everything else that one needs to know to accept the cryptocurrency. The pricing should be quite attractive for many of AlphaHub’s customers, as there will be no setup costs or monthly fees. Instead, all businesses accepting Bitcoins will be paying 0.5% of each transaction made with Bitcoins, which will provide an average save of 3% compared to the regular methods. Not only can the businesses who choses to accept Bitcoins through AlphaHub find new target markets and save money in fees, the Bitcoin also get more exposure to the general public which will attract more people towards using Bitcoins as their preferred payment method. Hopefully we will see a wide range of different industries and shop integrate Bitcoin as a payment method, so that the mainstream adaption can reach new crowds. The more smaller businesses that integrates Bitcoins, the more the larger companies will consider doing so as well, creating a ripple effect that could only benefit the Bitcoin in the long run. 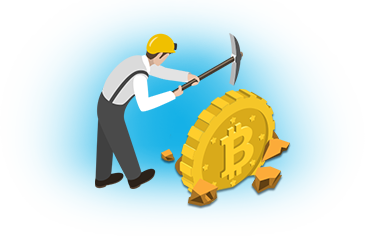 The Bitcoin betting industry is growing at a rapid rate these days, but it seems that the glory days may be over for some Bitcoin operators. One of the more prominent Bitcoin betting sites in the industry, BetVIP, announced earlier this week that they have closed their doors for good. It all started out on June 12th when BetVIP suspended their sportsbetting trading for all customers, with the rest of their products following shortly after. The management then made a decision to look for other companies to take over their players. The reason for the closure of BetVIP has been described by the BetVIP management as a mixture of the early nature of the Bitcoin betting industry and also because of the increase in regulations and legal environments around the world. BetVIP had obtained a license in Curacao to operate their business under, something which many Bitcoin sites does not have. While having a license is good for the customers, it does create some limitations towards a Bitcoin business, which BetVIP probably felt while trying to operate. Initially it was not possible for the customers of BetVIP to access their accounts and their funds, but now it has been made official that Cloudbet will take over all of BetVIP’s customers and bankrolls. Cloudbet is one of the leading online Bitcoin bookmakers and casino sites, having grown rapidly in the past years time thanks to their fast cash outs, innovative betting platform and good promotions. That combined with high limits on all the popular sports, has made Cloudbet a popular place to place bets and play casino games for many players and now players of BetVIP can join as well. It happens once in a while that well-known brands closes their doors in the gaming industry, but not in all cases the players gets their funds returned. Cloudbet saw an option to boost their business, but they also cared enough about the Bitcoin and the industry to not let a scandal burst into mainstream media and save all of the players funds. If you were a player on BetVIP, all you have to do to access your funds is to login to Cloudbet with your details and you can see everything. You can also have a look at our offers for Bitcoin sportsbook sites and find a safe, reliable and high-odds site to wager your Bitcoins on here.